I was unknowingly involved in a secret mission last weekend! The following is a documentation of this successful mission. Read carefully. Following this debriefing you will receive your assignment. Agent A (aka: Aunt Ann): The relative I admired throughout my childhood, and as an adult count one of my dearest friends. She's one of those precious family members that make you anticipate Thanksgiving, for reasons beyond turkey and pie! Kindhearted, compassionate, with a heart of gold, she loves life and fills hers with magical, adventurous moments! For this mission, she was practically perfect in every way. Agent E (aka: Ann's daughter, my youngest cousin, Emily): She's the one on my lap in all our old family photos. As years pass, much more than blood connects us. We share a deep bond of friendship, love of family history, admiration for our late Grandma's handwriting, and crazy obsession over love of all things Disney! She's the one that brings insanely delicious desserts to get togethers, and an even sweeter presence. This mission had her name written all over it! 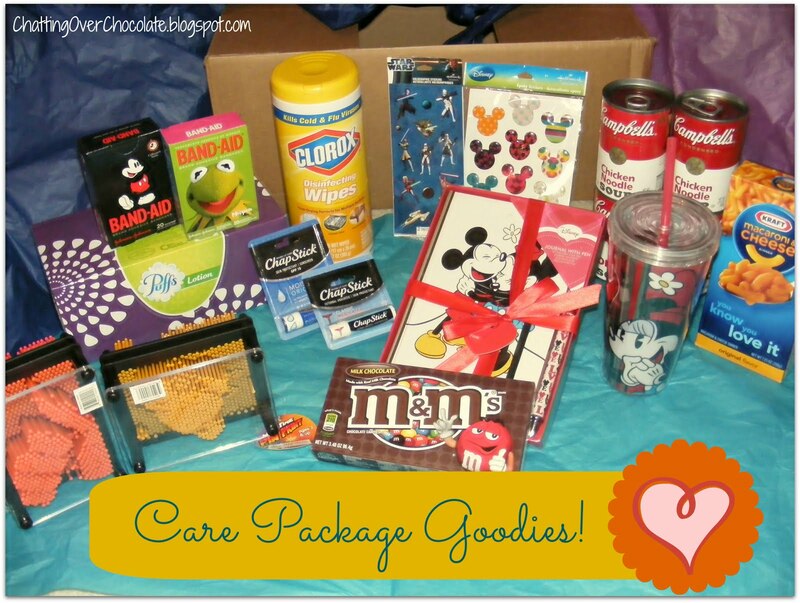 The mission, which they chose to accept (and were also the masterminds behind): Create and deliver a care package so thoughtful that it would overwhelm the recipient with gratitude, fill her eyes with happy tears, and in an instant cheer her previously discouraged heart. The Target: Me. 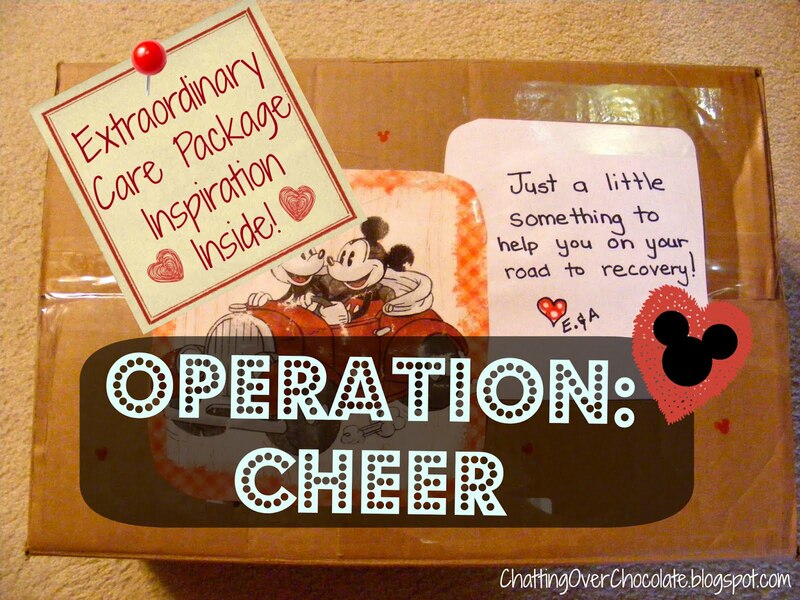 Sick for nearly two weeks, and now also caring for our oldest daughter who had also become ill, I was an easy target for Operation: Cheer. My blues didn't stand a chance. Just after 1400, I received an innocent text inquiring about my wellbeing. I was thankful for the thoughtfulness behind the text, yet completely unaware of what was coming next. Are you too sick to open your front door right now? It might brighten up your day! When I stepped outside, everything changed! 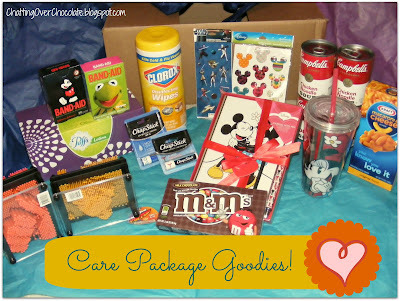 I found the cutest care package I'd ever seen! ... Everything a sick girl could possibly need, and then some! ... & a whole lot of love! ...How cute is that?! They said they enjoyed both putting together the care package and delivering it! I was so incredibly touched by their thoughtfulness, generosity, and care! On that note, are you ready to receive your mission, friends? OMGosh that is so awesome!!! I love the sneak picture!! 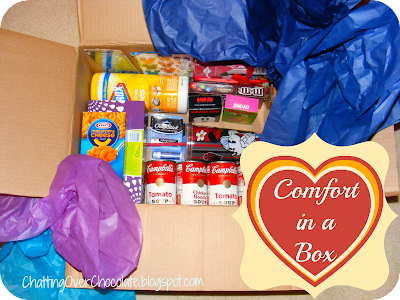 That is an amazing care package, very blessed. Blessed indeed, & oh so thankful!! :) It totally brightened my day, and made my week! ;) ... I know, I was SO glad that they took and shared that sneak pic! :) I LOVE it too!! Such a fun mission - I think I know just the recipient! What a sweet care package to receive when you were sick! 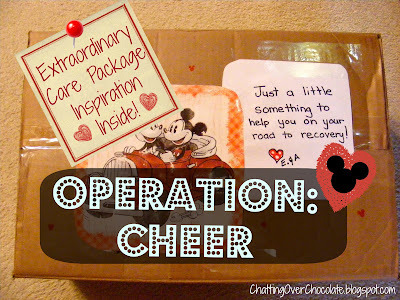 I love this idea and the writeup-so creative... and do we ever outgrow cute bandaids? I don't think so! Hope you are all feeling better. I love this! It's great to hear of new ways of lifting spirits and taking care of one another! This is so sweet! This is a great example of how something small can make a huge difference in someones day. I'm resolving to do this next time a friend is sick. Thank you for the inspiration. You are so right, Monica!! It truly can! :) Thrilled to hear that you were inspired! Thanks for stopping by & commenting! I sure enjoyed hearing from you!! What a wonderful surprise!! 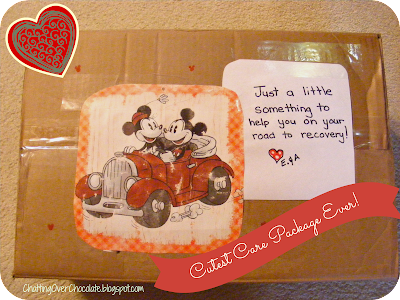 There is nothing like getting something totally unexpected at the time when you most need it :-) I actually just did this--my latest post is actually about the care package I sent to my friend.... funny synchronicity! Wow, what a lovely gesture. My mother in-law is about to embark on some Chemotherapy & this is exactly the type of thing I wanted to do for her. Thanks for the inspiration. SNEAKS! I love this. :) Feel better soon. Such a great idea!!! Thanks for linking up! So sweet and thoughtful!! Thanks for linking this up at my party, too!! I bet this made you feel better much quicker! Isn't that awesome?! I love it. We can all do better about considering others, thanks for the reminder! Hope you enjoy a terrific weekend! That is so thoughtful! My brother sent me a care package once and it was so great to know he was thinking about me and took the time to go get me things and even mail it to me. Made my day. I love this!!!! How inspirational. I accept that challenge and will write back. What a thoughtful family you have! Glad you are feeling better and I hope the "sickies" leave your house very soon! Great post! Thanks for linking... your awesome! Great idea! I have done the "Sunshine Box" for a few folks who needed sunshine in their day, but love the idea of this care package. I'm visiting from It's Overflowing. How sweet! Don't you just love family to pieces! Thanks for sharing this on The Creative HomeAcre Hop! Yay for thoughtful kind souls! Double yay for awesome family!!! This made my day. Thanks for sharing and linkin it up!! I enjoyed this post so much. I'm inspired to do something like this now. Thanks so much for sharing it. Love, love love this post. 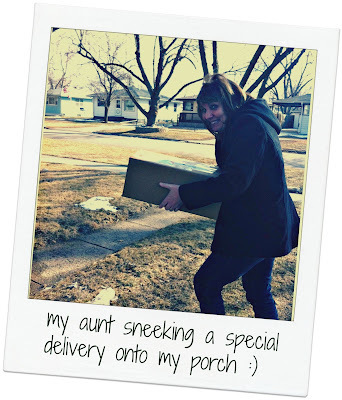 Sounds like something my Aunt Joyce would do!! Great idea, can't wait to try it out! How Sweet was that! What a great idea! Thanks so much for sharing on I Freakin Did it Friday! How incredibly sweet!! This post makes my heart happy. This is so fun! I'm popping by from the GYB Blog Hop and I've been exploring your blog a little bit! 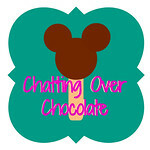 Any blog with chocolate in the title is automatically a blog for me to follow!